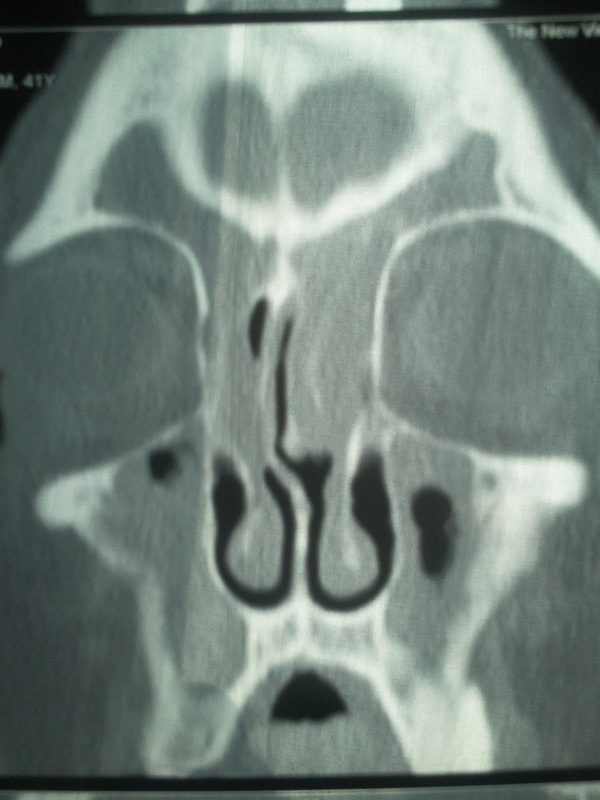 Icanseeclearlynow: October 2011 - "Sinus Guy"
Yet another specialist office… what will this bring? During my quest to figure out what, In fact, was wrong with my eyes, I had visited one Specialist at least 5 times now in the space of about 7 months , and still wasn’t much closer to the root of the problem, so it was fair to say I didn't have much fate this time around as to what was going to happen,.. I couldn't have been more wrong…. Only 10 minutes after I entered the waiting room I was invited into the office of my ENT (Ear, Nose and Throat) consultant.. Within a couple of minutes he had established that there definitely was an issues here..
Eh? Ok.. as in right now? Ok, so how do I get there? There I was, 45 minutes later, getting up from yet another scan of my head.. slightly different than the last time, but still, this is becoming fun now. Ok...Why did I ask in the first place? "How does 3 weeks from now work for you?" "Ok, see you on Nov 7th then..."
WTF just happened... i just went in for a consultation in the hope to get a bit closer to being able to put all of this behind me, and instead of taking this step by step and weeks to cover all of this, i'm actually booked in for surgery already... ehhhh? I'd blame it on the wonders of private healthcare, but in all honesty i'm seeing the eye consultant via my private heretical plan as well... how could this be so different from the other? Oh well, one step closer yet again..